Prince Philip - who turns 92 today - has been Queen Elizabeth II's sprightly, wise-cracking, loyal companion for the past 65 years. As she fulfills her busy daily schedule, he soldiers alongside with a cheeky glint in his eye and a witty remark for those close enough to hear. His political incorrectness - like when he warned exchange students in China they'd "go native and come home slit-eyed" - often thrusts him into the spotlight for the wrong reasons. 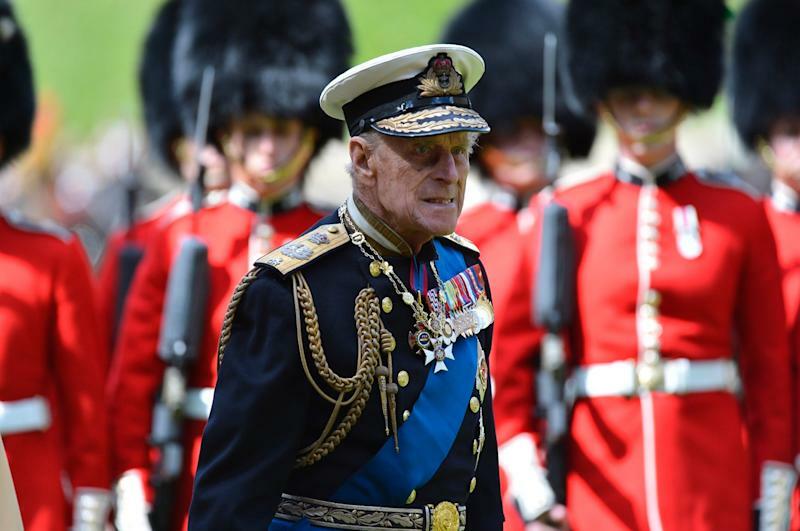 But there's much more to Prince Philip than gaffes and inappropriate comments. A heralded naval officer, he won heroic status in World War II - rising through the ranks before selflessly giving up a distinguished career to help his wife serve her country. Since then he's carved out a unique role as patron of 800 organisations and the brains behind the Duke of Edinburgh's Award Scheme. But, despite being born Prince of Greece and Denmark on the island of Corfu on 10 June 1921, his early life was not easy. Aged 18 months he saw his father, Prince Andrew of Greece, sentenced to death by a revolutionary court. Britain's King George V sent over a Navy warship to help the family - Prince Andrew, wife Princess Alice (eldest daughter of Louis Alexander Mountbatten) and five children - flee. Prince Philip reportedly made the voyage in a crib made out of an old orange box. They ended up in Paris. But the strains of life in exile saw the couple separate in 1930. Prince Philip was sent to Cheam Preparatory School in Surrey and then Gordonstoun in Scotland, before arriving at Royal Navy College at Dartmouth in 1939. It was there he caught the eye of his distant cousin Princess Elizabeth, 13, who was visiting with her father King George VI. But the timing was all wrong. With the outbreak of World War II, he was sent in 1940 to patrol the Indian Ocean. Transferred to HMS Valiant in January 1941, he manned the searchlight, playing a key role one night in sinking two Italian cruisers in five minutes. His courage and intelligence shining through, he was promoted to First Lieutenant - a rank almost unheard of for a 21-year-old. Returning to Britain in January 1946, he again met up with Princess Elizabeth. The pair had kept in touch and he'd even stayed with her family for Christmas in 1943 at Windsor Castle. With wedding bells rumoured he renounced his right to the Greek and Danish thrones to become a British citizen, showing what was to become an unconditional loyalty. He also dropped his father's Schleswig-Holstein-Sonderburg-Glucksburg surname for his mother's, Mountbatten. The couple got engaged. Wed in Westminster Abbey on 20 November 1947, they moved to Malta for six years where Prince Philip - now a royal highness, Knight of the Garter and the Duke of Edinburgh - was stationed. The couple's first son and heir, Prince Charles, was born six days before their first anniversary. Princess Anne followed in 1950, Prince Andrew in 1960 and Prince Edward in 1964. Rising through the ranks, Prince Philip was in 1951 given command of the frigate HMS Magpie. But, on the death of King George VI, and Princess Elizabeth's ascension to the throne on 6 February 1952, he sacrificed his career to become her full-time consort. The key role of supporting his wife, now 87, is one he has carried out, to this day, without complaint. Whatever the weather, and even with advancing age, he often risks ill health to accompany Her Majesty on her countless engagements. And if recent events are indicative - keeping up a punishing schedule despite being hospitalised three times in two years - it appears he'll remain her true servant until the very end.